At the time of this writing, the Swift programming language has been around for more than two year. The new programming language has gained a lot of traction and continues to evolve, and is clearly the future programming language of iOS. If you are planning to learn a programming language this year, Swift should be on the top of your list. I love to read cookbooks. Most of them are visually appealing, with pretty and delicious photos involved. That's what gets me hooked and makes me want to try out the recipes. When I started off writing this book, the very first question that popped into my mind was "Why are most programming books poorly designed?" iOS and its apps are all beautifully crafted - so why do the majority of technical books just look like ordinary textbooks? 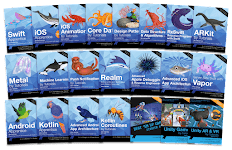 I believe that a visually stunning book will make learning programming much more effective and easy. With that in mind, I set out to make one that looks really great and is enjoyable to read. But that isn't to say that I only focus on the visual elements. The tips and solutions covered in this book will help you learn more about iOS 10 programming and empower you to build fully functional apps more quickly. The book uses a problem-solution approach to discuss the APIs and frameworks of iOS SDK, and each chapter walks you through a feature (or two) with in-depth code samples. You will learn how to build a universal app with adaptive UI, use Touch ID to authenticate your users, create a widget in notification center and implement view controller animations, just to name a few. I recommend you to start reading from chapter 1 of the book - but you don't have to follow my suggestion. Each chapter stands on its own, so you can also treat this book as a reference. Simply pick the chapter that interests you and dive into it. 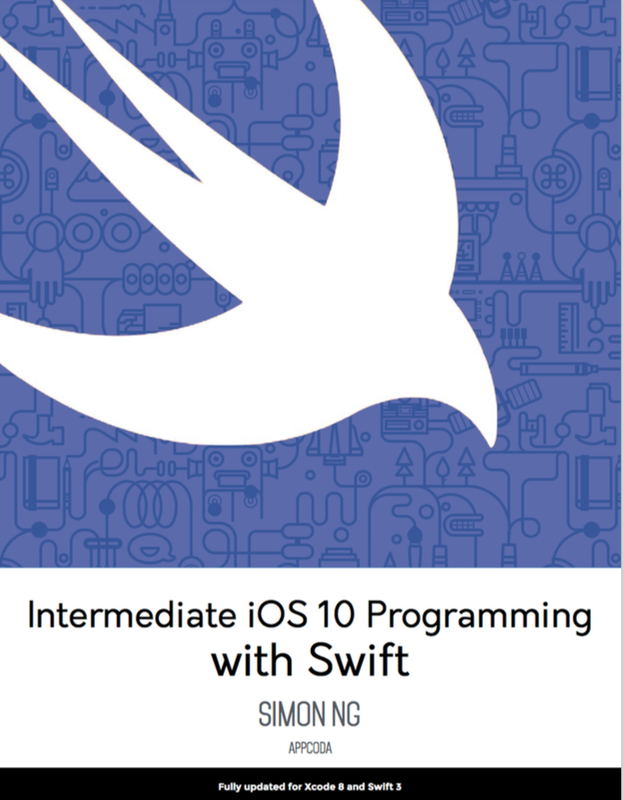 This book is intended for developers with some experience in the Swift programming language and with an interest in developing iOS apps. It is not a book for beginners. If you have some experience in Swift, you will definitely benefit from this book. If you are a beginner and want to learn more about Swift, you can check out our beginner book . Most of the chapters have been updated for iOS 10, Xcode 8 and Swift 3. Therefore, make sure you use Xcode 8.0 (or up) to go through the projects in this book. For the rest of the chapters, we will complete the update by November. Where to download the source code ? I will build a demo app with you in each chapter of the book, and in this way walk you through the APIs and frameworks. At the end of the chapters, you will find the download links of the final projects for your reference. You are free to use the source code and incorporate it into your own projects. Both personal and commercial projects are allowed. The only exception is that they may not be reused in any way in tutorials or textbooks, whether in print or digital format. If you want to use it for educational purpose, attribution is required. Do You Need to Join the Paid Apple Developer Program? You can go through most of the projects using the built-in simulator. However, some chapters such as Touch ID and QR code scanning require you to run the app on a real device. The good news is that everyone can run and test their own app on a device for free, starting from Xcode 7. Even if you do not join the paid Apple Developer Program, you can deploy and run the app on your iPhone. All you need to do is sign in Xcode with your Apple ID, and you're ready to test your app on a real iOS device. Swift is still evolving. Will you update the source code when Xcode 8.x releases? (https://twitter.com/appcodamobile) for any update announcement. If you have any questions about the book or find any error with the source code, post it on our private community (https://facebook.com/groups/appcoda) or reach me at simonng@appcoda.com.